SAN DIEGO, CA (June 13, 2018) – IDW Publishing, a division of IDW Media Holdings, is proud to announce that Disney Publishing Worldwide honored them with their prestigious Best New Licensee Award at the Bologna Children’s Book Fair 2018. 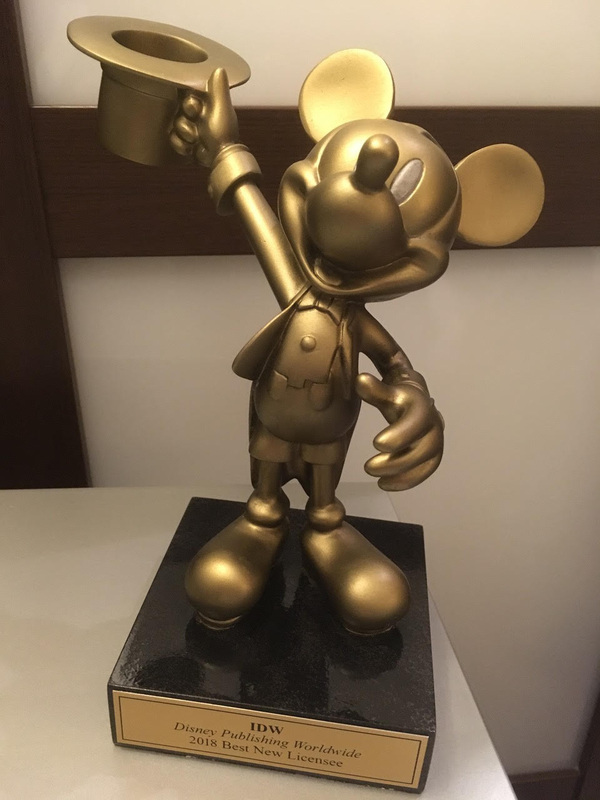 The Best New Licensee Award is given​ to a new ​ Disney Publishing Worldwide licensee signed in the past year, who created a new format and brought new distribution into the marketplace. In 2017, IDW began publishing an all-ages Star Wars comic, Star Wars Adventures, in addition to their Disney titles. Star Wars Adventures launched as a fan favorite in September 2017, and quickly gained notice by the industry; Diamond Comic Distributors acknowledged the title’s sales achievement with two GEM Award nominations in the categories of Best New Comic Book Series and Licensed Comic of the Year. IDW’s line of Disney comic books and graphic novels launched in 2015 with the continuation of such long-standing series as Walt Disney’s Comics and Stories, Mickey Mouse, Donald Duck, and Uncle Scrooge, and has since expanded to include DuckTales, Tangled: The Series, Big Hero 6: The Series, Star Wars Adventures, and more. Additional Disney publishing programs from IDW include their line of Artist’s Editions – high-end reproductions of original art by Disney animation legend Don Rosa – as well as hardcover collections of the Donald Duck and Silly Symphonies newspaper comic strips.